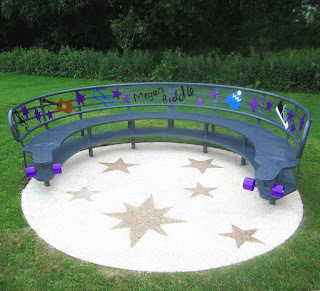 Barricade Fabrications: Bespoke steel memorial bench for Megan Biddle on behalf of Thame Town Council. Trusted UK based steel fabricators & suppliers of street furniture, bollards, barriers & shelter systems. We specialise in steel fabrication & bespoke steel products. 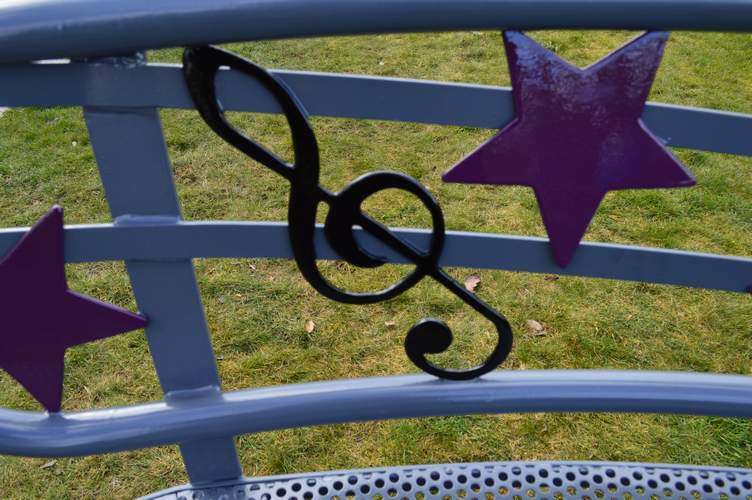 Bespoke steel memorial bench for Megan Biddle on behalf of Thame Town Council. 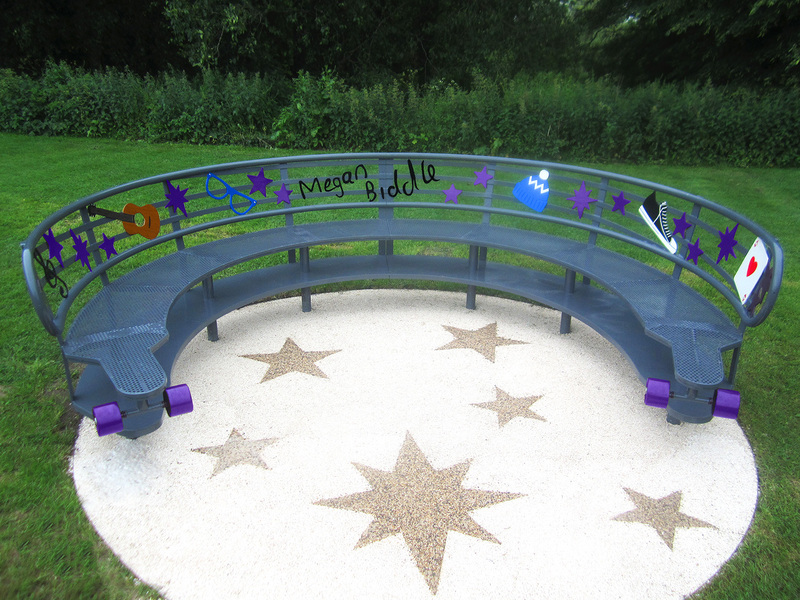 Barricade fabricated a bespoke steel memorial bench to celebrate the life of Oxfordshire teenager Megan Biddle, who tragically passed away in 2015. 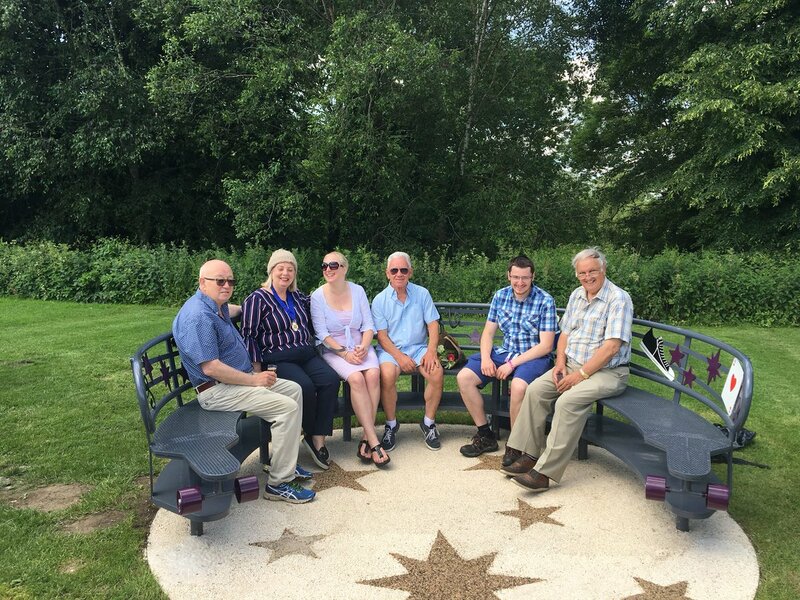 We were approached by Thame Town Council to manufacture the bench due to our ability to produce high-quality, fully bespoke steel products. 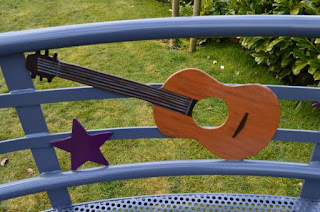 The bench is in the design of a skateboard as Megan was a keen skateboarder. 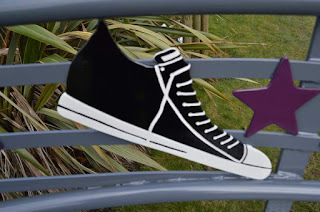 The memorial bench features a selection of the items that were special to Megan, including music, trainers (sneakers? ), beanie hats and a selection of stars. 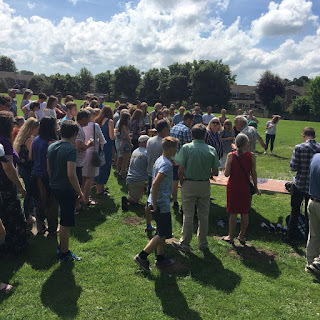 All of the items were to be incorporated into a large skateboard shaped bench and ultimately provide a place for family and friends to gather and remember the life of a remarkable young lady. The design was a collaboration between Megan's friends and family and local artist Michael Gibbs who brought all of their ideas together. Steel memorial bench in memory of Megan Biddle, installed at Thame Southern Road Recreation Park. Bespoke skateboard bench for Megan installed at Thame Southern Road Recreation Park. Megan's bench was unveiled on Sunday 3rd June 2018 and will no doubt become a place of friendship, happiness and fun for years to come. It was a great honour to be asked to produce such a poignant memorial and we are delighted with the final outcome. 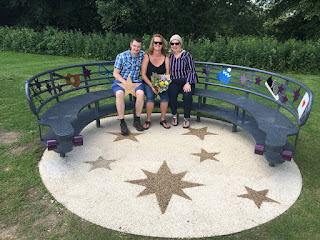 Celebrations at the unveiling of Megan's bench by Thame Town Council. 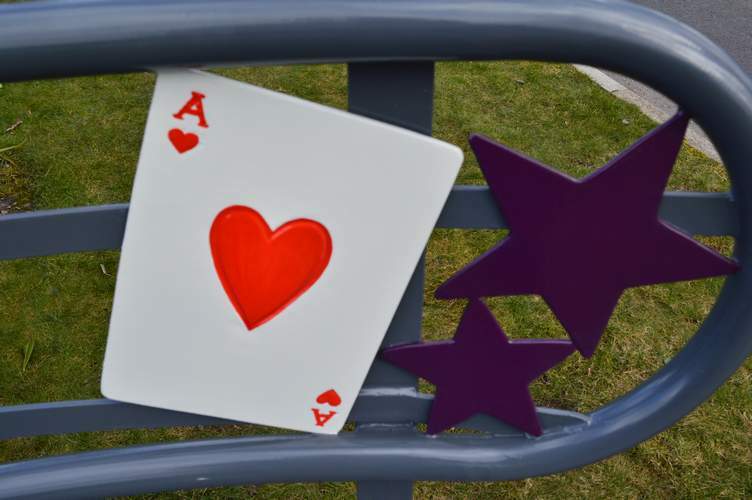 Shown below is a close up of the decorations on the memorial bench. Each one was fabricated in-house and hand painted by our talented team. 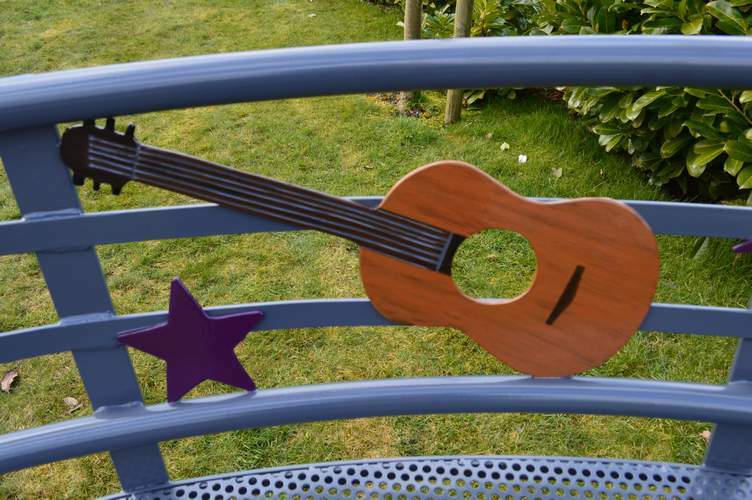 If you require a fully bespoke product then please feel free to give us a call on 0845 900 2131 and we can help turn your design into a beautiful finished product. 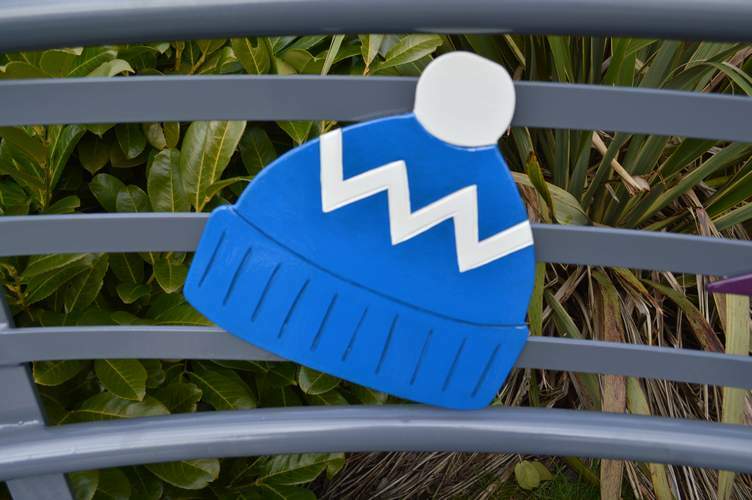 You can find all of our contact details and a wide range of street furniture on our website www.barricade.co.uk. Copyright of Barricade Ltd 2016. Simple theme. Powered by Blogger.